Gold futures remained in green positive in early morning trading on Tuesday despite reports showing a slowdown in Chinese industrial output. On Monday, the Asian country said industrial production grew 6.5 percent in April, below expectations for a 7.1 percent build. China is currently one of the world’s top importers of gold and it accounts for nearly forty percent of cooper global demand. On the Comex division of the New York Mercantile Exchange, gold for June delivery rose 0.40 percent to trade at $1234.90 a troy ounce as of 07:00 GMT. In economic news, the Federal Reserve Bank of New York said its Empire State manufacturing index came in at -1.0 in May, down from a 5.2 reading in April. Data weighed on the American currency index (USDX), which loss more than 0.20 percent to 98.84, favouring growth of dollar-denominated commodities such as gold. As gold is a dollar-backed commodity, changes on the currency have great effect on the metal. A stronger currency makes gold a less appealing option for investors holding foreign money. Geopolitical tension in the Korean peninsula remained in place, with investors taking careful steps as an unexpected move from Washington could become a reality any minute. Last Friday, the yellow metal started to recover despite higher expectations of a rate hike at the Fed’s June monetary policy meeting. According to CME Group’s FedWatch tool, investors are currently pricing in more than a 70 percent chance of a Federal Reserve interest rate increase next month. Oil futures edged up in Asian hours on Tuesday as market players weighed higher chances of an extension of the OPEC-led output cuts agreement beyond June, while looking ahead of fresh inventory data in the United States later in the day. US West Texas Intermediate oil futures traded at $49.05 a barrel on the New York Mercantile Exchange, up 0.41 percent from its prior close. The international Brent crude oil futures added 0.41 percent to trade at $52.03 a barrel as of 07:00 GMT. The American Petroleum Institute (API) is set to release its weekly inventories for crude and refined products late in the afternoon, in anticipation of official figures from the US Energy Information Administration, which are due at 14:30 GMT tomorrow. Market analysts are currently pointing at a 2.283 million barrels decrease in crude stockpiles, while distillates are seen falling 1.250 million barrels and 846,000 barrels for gasoline. Expectations for an OPEC deal extension increased on Monday following a joint statement between energy ministers from Saudi Arabia and Russia. Both countries seem interested in extending the initiative until March 2018, a nine-month duration that exceeds the current phase of one semester. Back in November 2016, the Organization of Petroleum Exporting Countries (OPEC) agreed with other independent producers, led by Russia, to reduce 1.8 million barrels per day from global oil production in the first six months of the year. 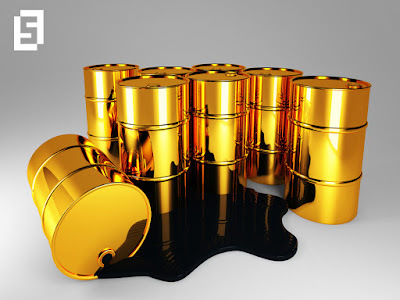 The measure is meant to rebalance supply levels and prompt up crude prices. OPEC will take a final decision on the matter next May 25 when members gather in Vienna.